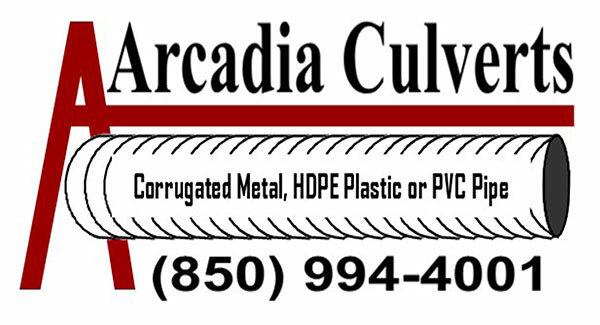 Established in 1999, Arcadia Culverts is a local supplier of quality corrugated pipe products. 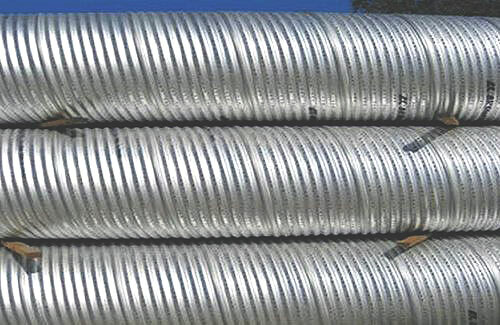 We sell storm water drainage steel culvert pipe galvanized and aluminized, as well as smooth center and corrugated exterior HPDE plastic drainage pipe. Located in Pace near Milton, we serve Pensacola and the greater Northwest Florida and South Alabama region. 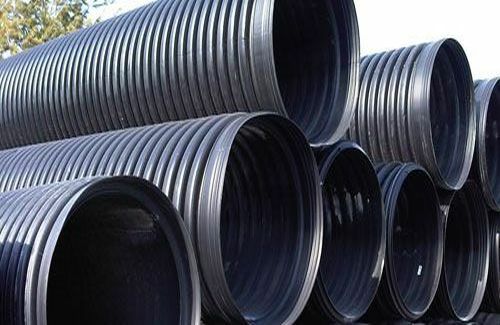 Our mission is: To be the reliable and timely, best source for our customers' culvert pipe needs! We inventory, order, and supply quality DOT specified and certified Metal and Plastic corrugated culvert pipe products for a variety of projects that include: driveway culverts, residential subdivision site work, commercial development storm water detention, farm and timberland irrigation, County and State road drainage projects, utility company foundation pole casings, and other culvert, drainage and detention pipe needs. Let us know what pipe you will be needing for upcoming projects and we will stock it for you. Call us at 850-994-4001 for a free written estimate. 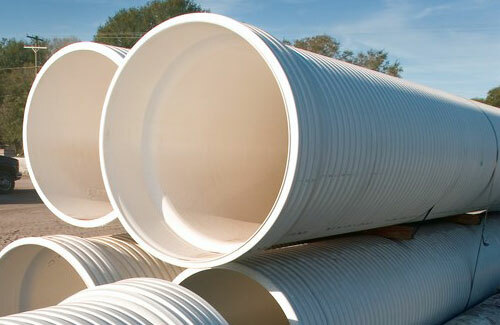 Suppliers of corrugated metal, HDPE Plastic, or PVC Pipe for all road, detention, drainage, & driveway projects.